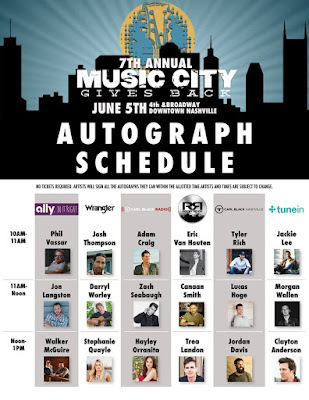 Music City Gives Back Meet and Greet Schedule Released! 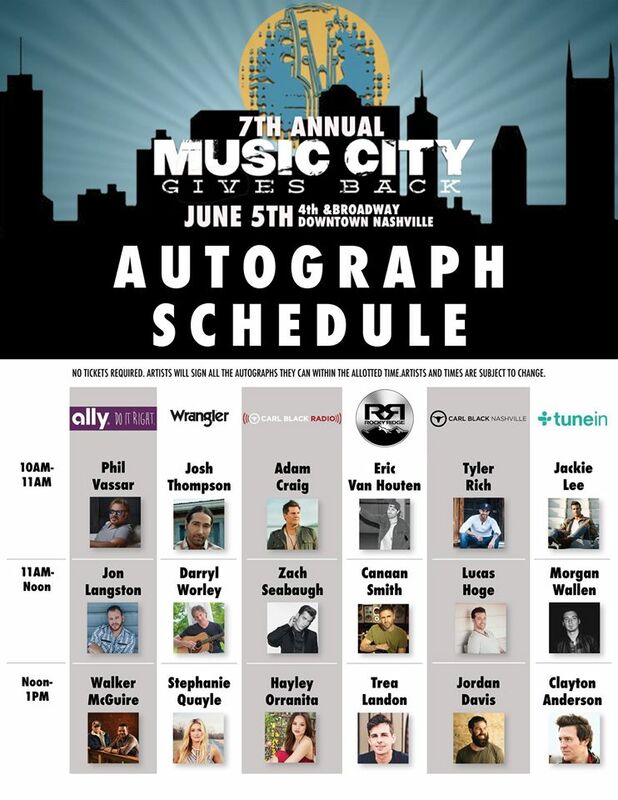 The autograph signing sessions at Music City Gives Back have been announced and will take place on Monday, June 5th from 10 AM to 1 PM! No tickets are required for these signings. They are first come, first served. We are excited to see Phil Vassar, Jon Langston, Josh Thompson, Darryl Worley, Adam Craig, Canaan Smith, Jackie Lee, and more! Click the picture for the full lineup!